More fun with Google search suggestions. 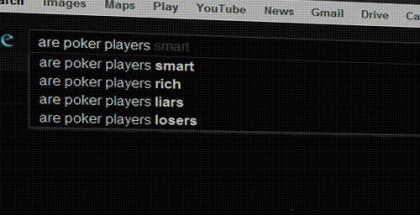 Last week we clued you in to what the world wants to know about poker players. 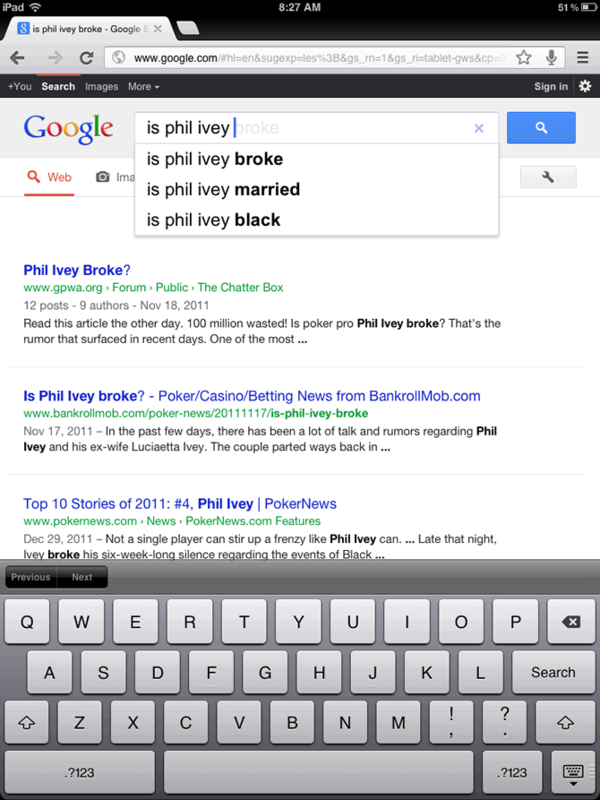 Now here’s a peek into the zeitgeist for what answers people are demanding about Phil Ivey. For the thousands of people who have (apparently) come to Google with these pressing queries, I can offer some help. Phil Ivey doesn’t seem like he’s broke. Also: here’s a collection of the few times when Phil Ivey looked uncool.